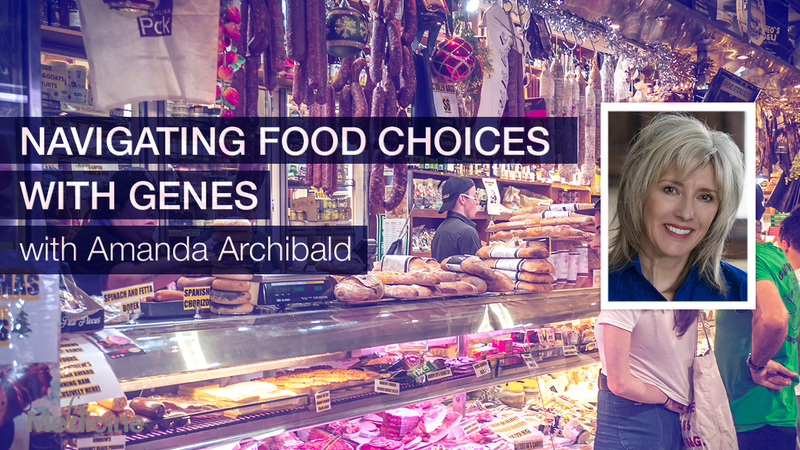 Today we are joined by Amanda Archibald, founder of The Genomic Kitchen. 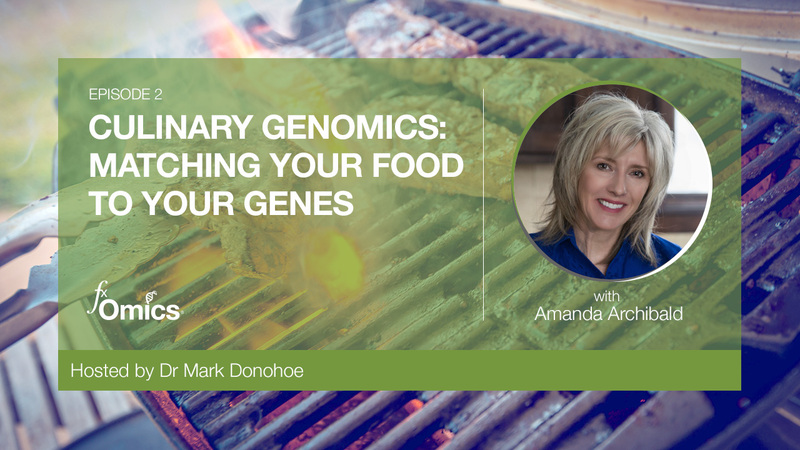 Amanda has a vision for bringing genomic science into the public health system and onto the plates of everyday consumers. Amanda takes us through the steps she's taken to get hospitals in California to pilot a program to bring a nutrigenomic approach to the foods they're serving. She also discusses how genomics helps us to see nutritional biochemistry in 3D and how it can help us to connect the dots and move away from the traditional, reductionist approach to food selection. [01:45] What is culinary genomics? [16:00] "Genomics helps us see nutritional biochemistry in 3D"
[38:33] The future: where will genomics take us? [44:58] How does The Genomic Kitchen fit in? [49:33] Will gene matching food have a profound health impact? Mark: Today we're talking with Amanda Archibald, who's a nutritionist and culinary expert merging the fields of genetics, diet, and healthcare. And she's been doing that since 2003. Her work in culinary genomics first unveiled in 2015, has created a whole new frontier, fusing the fields of nutrigenomics with the culinary arts. She's putting the kitchen at the centre of healthcare. Good morning Amanda, it's lovely to talk with you from sunny USA. How are you? Amanda: I'm doing great. It's hot, sunny and humid here in the USA, because we're the other hemisphere, right? So we're entering the hot summer as you enter the cooler fall I believe. Mark: I've only just been introduced to your work. Culinary genomics, it sounds like it's personalised dietary management using real food for a change. Am I in the ballpark of what's right about culinary genomics there? Amanda: Yeah, it's definitely food-centric, that's for sure. And so culinary genomics is a term... it's really a working term that I'm using. And I'm seeing other scientists and clinicians use the term which really is the culinary translation of nutrigenomics. In other words, how do you take the field of nutrigenomics and translate it onto the plate, so that the public can actually start to, not only understand which foods to put on their plates, but why they're using them, and how they function with our genes. Mark: Right. So the obvious first question is, do you need to know the genomics of the person? Is it individualised in that way? Or is this more broad brush… we know our genomics, we know our microbiomes, we know a bit about it, we can move even before we know each individual's genomic picture? Amanda: Yeah, it's a great question. So the answer to that is yes, and yes. 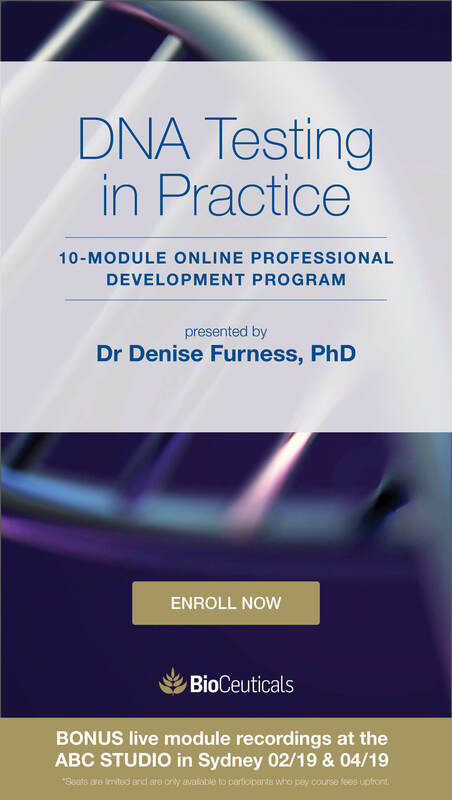 So you know, I'm trained as a clinician, and optimally, as you and your audience would appreciate, we would love to know the genomic blueprint of every single patient or client we work with. Because that's you know, precision medicine, is precision nutrition. But the reality is we're just at the beginning of that revolution, right? You know, of enabling people to step into that space. So while optimally culinary genomics would work with the individualised blueprint, there's such an opportunity to work with what I'm doing in public health. And that really is where I've kind of set my barometer, if you will, or set my direction, because while we're waiting for personalised nutrition to be available to everyone, that's the Nirvana, right? Amanda: It doesn't mean that we can't take what we know in the science and organise it in a way that every person can start to understand the basic food gene conversation and make changes. So that's actually what I'm doing with my company The Genomic Kitchen, is introducing clinicians to the concepts of nutrigenomics, and how we translate those on to the plate so that it's accessible at a public health level. Which I think is important, not important, it's essential. Mark: There are two kind of ways of approaching this though, that I can see. One is we know the genomics well enough in broad brushstrokes to be able to say, this is food and this will do for not just nutrition, but for the modification of our own genome. The epigenetics of food is something that we're learning. Do you involve yourself in that area, how genes express themselves, and how the diet and, you know, and the microbiome together, help that gene expression? Amanda: Absolutely. You know, to do my work... obviously, I'm trained clinically and every day, like you, I am poring over the science. So to basically be able to talk about culinary translation, you have to understand nutrigenomics. So how food talks to the genes which requires us to understand genomics, right? Amanda: So we understand genomics as the basic, which genes do what, as we have learned from the Human Genome Project. Then we understand, okay, how that gene operates, what it does, what the sort of upstream and downstream implications of those genes are, so the biochemistry. And then from the biochemistry we understand which nutrients are needed to support the biochemistry that's enabled by the gene being activated. So that's sort of a long sentence just saying, I have to understand, genomics, I understand nutrigenomics. And then nutrigenomics helps me then understand which ingredients provide which bioactives, and which nutrients to support our innate biochemistry. Mark: Right. You have actually moved this into, as I see from your bio, into the hospital system. And at least in Australia, hospitals are regarded as possibly the worst nutrition on the planet. The paradox is that you go to hospital for medical procedures, and the diet is immediately given up. High carbohydrates, rubbish on the plates there. It seems like you're changing it also at the point where medicine interacts with diet, and teaching doctors something about food being valuable in healthcare? Amanda: Yes, you know, it's one of the things I believe since day one when I became a dietitian is food is everything. And I've certainly did my time in the hospital-based setting including in the kitchens and that was 20 something years ago and was appalled then at how reductionist that system was. And, you know, working in hospitals and now again, working, in the hospitals with foodservice operators until we change how hospital operators value food. And they make it perhaps one of the most important things you need to invest in, as opposed to the least important, you won’t change the patient experience. And so the work I've been doing with it... actually, a global foodservice operator in a pilot project in California, is to introduce the concept of nutrigenomics into the hospital. And the way we did that was using food as a pivot. So I can elaborate on that if you want exactly how we did that, and where we are in the process because your audience will probably find it fascinating. Mark: I'd love to hear that. That sounds like there's a secret you've unlocked there about how to change medicine. Doesn't change easily. Amanda: Yeah, but you know, I think we all know as providers whether we're doctors, naturopaths, you know, M.D, N.D, D.O. 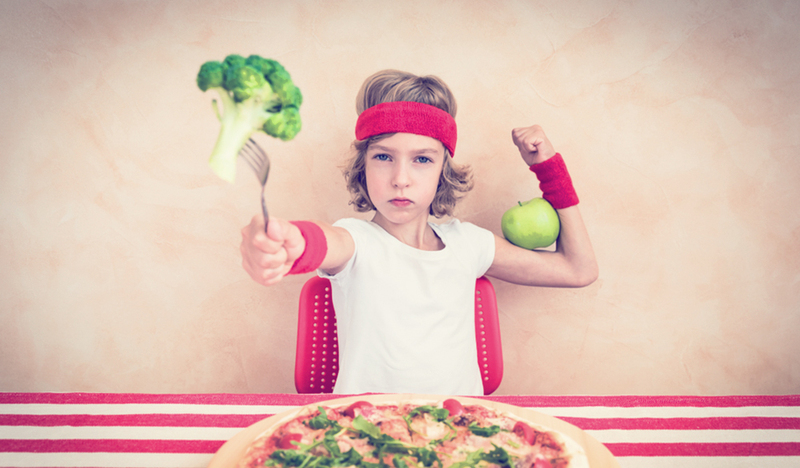 whatever we are, that food is the information that informs our body. And I feel oftentimes the clinical staff in hospital settings don't have any power over the diet either. Amanda: So the people who have the power to make change truly are the stakeholders in the hospital. So your board of directors, your chief medical officers, etc., etc. So what I did is, with a very talented team within a food service department at a five-hospital group in Southern California. And we spent probably a year and a half working with the chef. So the important part about the story here is not only the connection as to why I'm working with that hospital, which was a personal relationship with a colleague who said, "I want to do something different. It is ridiculous how we are putting food on the menu." So she was important to say, I'm willing to, you know, put my foot in this... not my head in the... "I'm ready to make the first step, I want to make a change." So when she saw what I was doing, she said, "That's what I want." She was pivotal and she said, "The only way we can produce food at the quality we need to is to bring in classically trained chefs." So an important part of success, number one, in the hospital, is to be able to produce delicious food according to the principles of nutrigenomics. So I spent time training the chefs, and very simply. And the result of that training for those chefs was they said, "We finally understand why we left classic, you know, five-star dining to come and work in a hospital." Other than it was better hours for them, hard work but better hours. Because you can imagine. They said, "You know, we are in a healing space. The kitchen is a healing space. You have now given us the science and the opportunity as classically trained chefs to put our talents onto a menu." Amanda: So having trained them, they then went back to the bench, the culinary bench, and they produced from scratch, basically a six-week cycle of recipes, all from scratch. Amanda: That expressed the concepts of nutrigenomics. So once we got that far, we then invited the stakeholders in the hospital, that was what was important, was the people who manage the money and the decision makers. And we brought them into a beautifully laid out dining space. It was actually the hospital cafeteria, which we dolled up. Amanda: And we laid out this incredible meal. Very simply. Using our chefs, who know exactly how to plate beautiful food. And we laid out probably six courses. And each...after each course, I stood up with, one chef was responsible for each course, and we explained how we produced what we produced. And then we explained the functionality of the ingredients. Literally, this is how these ingredients are operating in the body. Because not all stakeholders in hospitals are clinicians or physicians at all. You know, most of them are money people. Amanda: With good intent. So what we actually did is we did what, one of my mentors told me 20 years ago, he said, "You have to put food in people's mouths to open their ears." This is brilliant, it's true. So we let the food do the talking. It was not only the deliciousness of it, but how beautiful it tasted. By the end of that meal... this is probably an hour and a half, and so an early evening session, we had five CEOs from each hospital saying we want be first to introduce this menu to our patients. Amanda: We understand it. So that's what we did. And then we went on... so where we are in the process is… very cleverly the team at these hospitals introduced the menu to… in what we call the retail setting to the employee cafeteria. So each day they'd menu one recipe from this six-week cycle menu. And we explained, again, it's sort of, tagged in a way so people understand what the ingredients are. And the year over year sales were significant. I mean, you're talking at least at 17% to 30% increase in sales for the employees alone. Mark: Right. People wanting to eat the food? Amanda: Yeah. And not only wanting to, eating it but understanding why. Amanda: And I think you know, for me, my frustration when I initially stepped into the field of nutrition was, we were not explaining in very clear ways how food works. And it's probably the same in Australia, because I work with a whole lot of your dietitians, and teaching several of them. They feel that same stress, that we're still teaching what I call ‘body part nutrition.’ Which is you know, eat this, and it'll do this, for your ears, or your eyes, or your teeth, or your bones. It doesn't mean anything. It's just, you know, eat right for whichever body part you're targeting and that is meaningless. Which is why I think nutrition has not had the traction it should. Mark: It's also a medical model of breaking things down, analysing, thinking of nutrients, thinking is this food is simply the sum of the nutrients. And if you get the nutrients in that will do. Whereas food is artistic, creative, it's the gathering of families, it has so much more impact. Once you bring a chef or once you value food, it actually is pro-health in a very deep way. And it's something that a hospital can never understand. Because what they do is analyse the people break them into gall bladders, organs, you know, bowel cancer. And think that if the nutrients are supplied, that's it., we've done our job. And I don't think that that's food. And I think that's what you're discovering and transferring to people who already are ready to hear it. Mark: The beauty of it, though, is you're bringing in a whole new health professional in the chef. The chef has their place. 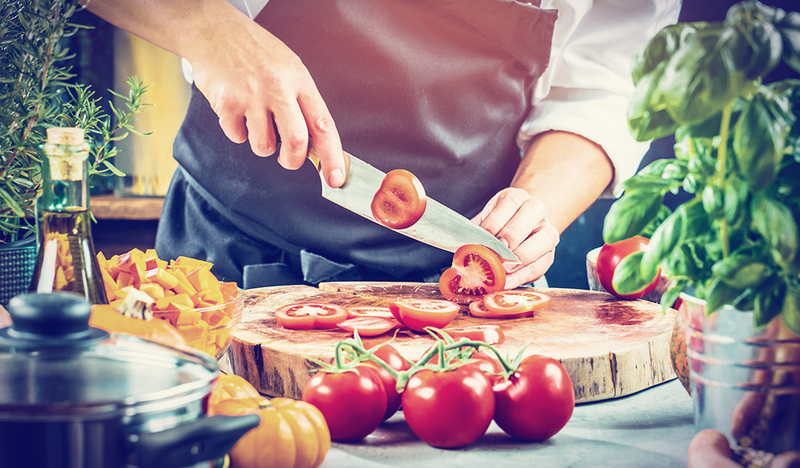 And whether that chef is a chef in the home, in the hospital or in any institution, that part of being able to get the nutrition, and the diet right just sounds the perfect start to good health. Amanda: It is, it is. And it's a game changer for chefs too. And I've always felt that for the medical profession, the chef is our greatest ally and they've never been elevated to that status. Amanda: Unfortunately, in a big machine. So chefs, bringing chefs in, it gives them a whole new role and a new status. And that's why, you know, at The Genomic Kitchen, my company, not only are we training clinicians in these concepts, but we'll have a certificate course for chefs who want to step into the space, because again, they control the kitchen. Amanda: And a trained chef, of course, is more than just someone who knows how to produce great food, they understand logistics, they understand how to manage manpower, you know, the kitchen is an army. It’s a finely skilled production line that really requires somebody who has management skills, as well as the culinary skills. So they are integral to the process. Mark: It's a strange thing. I mean, it's a throwback, the Hippocratic aphorism let thy food be thy medicine. It's come full circle. We have, you know, we've broken medicine into specialties and treated the body as though it's a machine with certain parts. And if you oil the right parts, everything will be right and you pull them out, you replace them. Without ever returning to the roots of our own medical profession, which is that food is not just the nutrients. It's not, you know, a bottle of something where you could take that bottle and have the same experience as you would with a meal. So medicine returning that way actually has depended a bit on the discovery or the rediscovery of this microbiome. That we are now thinking of the gut, not as a hollow tube where things go in, get distributed around the body, and the machine just uses those as, you know, here's the oil, here's the carbohydrate, here's the other... The discovery of microbiome and the discovery of the genetic diversity and the impact it has on our health, has now got people thinking through that whole process of, if we feed our microbes, then we are actually looking after ourselves. And that change in mindset in my own profession, I think is starting to become profound. Doctors who never paid attention to nutrition as food and loving food made by people who are well trained, are now paying attention to it. Because they think, "Oh, well, we've got to look after our microbiome." That's an interesting change. Amanda: It is, and I think, or I believe... first of all, we're realising that the pharmaceutical model does not work. Or is not effective for many, many patients. We could have a whole conversation about that. Mark: I know we could. Amanda: But more importantly, I feel very strongly, even for me, myself as a trained nutrition professional, that nutrigenomics has connected the dots. Amanda: It truly has, it's explained biochemistry. And I found that when I was studying biochemistry, I don't know about your training, but it was divorced from what the real application was. It was like we were learning it in two dimensions, like, this does this, and this does this. Genomics helps us see biochemistry, nutritional biochemistry, in 3D. Amanda: I know, that's probably the way I think, you know, in my analyst mind is, what was the model? It's like it's not just a linear conversation, it's not a chemical equation. It is deeply impact and the food we ingest affects us all the time, all our cells, in every which way, 24/7. And that's a point I make to the public and to clinicians that when we talk about body part nutrition we get... that exactly feeds into how we label foods, you know, it gets mathematical, it's reductionist. And it takes away from the public, truly understanding why are you suggesting rosemary? Amanda: Why do you want us to use turmeric? You know, what does that food do in our body? That's, I think... taking the conversation to that level and helping with physicians helps them understand this is the application. This is really what's going on in the body is the new food conversation. It's definitely the one I'm ushering in as fast as I can. Mark: Yes. And an increasingly educated and kind of linked up public is driving a lot of that demand as people, you know, intuitively understand that food is powerful. And that the components of food are not the point of food. Food is, therefore, the eating, the loving, the enjoying, the community, and there's so many other dimensions. I think you're right that third dimension is that food is not just simply the biochemistry that we learned. Which was dry, had no particular relationship to anything we don't even know where those fatty acids come from, when we leave medical school. We have to learn about food to understand that these are not pills. I also took exactly what you said there, that medicine in a sense, is a profession of dealing with diseases. When all has failed, and something breaks, pills and hospitalisation, surgery, can be powerful. But to not be in that environment in the first place is a far more powerful medicine. And the medicine of nutrigenomics, and the medicine of nutrition and food and loving your food, will keep a lot of people out of hospital. And it will stop our diabetic tsunami from happening. And these are the only ways. Whereas medicine thinks, we've got to get more drugs to people, we've got to get food. And that love of food and that return to real food, would seem to be the way forward in medicine full stop. Amanda: It is. And I think a lot of ways that we can bridge the gap and sort of open up the new food journey is definitely been my experience. And where I've looked is to look at longevity, Blue Zones research, and you know, the burgeoning science in longevity research itself. And so I spend a lot of time in storytelling, and it's a great opener for the public and clinicians to say, "Oh, that's a different way to think about food." Because longevity research, as you touched on, it's not just about food, but it's about connectivity, and community, and society. And the important role of all of those in gene expression instead of massaging and soothing our genes, I think is a part that has gotten left out in medicine and spirituality as well. But all that feeds into food as well. So for me personally, telling the stories of the Blue Zones and what we've learned about the food that's eaten by centenarians, you know, those pockets around the world, provides compelling evidence to the nutrigenomic story itself. Which is what I... it's definitely sort of a coveted area for me. Mark: Yes. I mean, it also gives us that perspective that different groups... you know, as we've evolved around the world before jet travel, and everyone brought us all together. But that different groups could take their environment and adapt to the environment, and then adapt the environment to them. And that the food differences, are in fact part of that beautiful palette of food. There is no right diet. There is no food pyramid, which is right for all humans. And partly that's because we've grown up with the environment that we're in, in different areas of the world now as we cross it, we get confusion. Mark: Because you have people who are born in one area, brought up in another, traveled to a third area. And all the way through that question of what's your natural diet? What is that natural diet? What is it when you travelled? Amanda: So, that’s again... it's a brilliant observation and it's something that I think nutrigenomics closes in on, so. Amanda: I don't know if you're familiar with the research of Valter Longo. So his book is The Longevity Diet, but he is a brilliant Nutritional Biochemist. I forget what his institute is, he has developed a Longo Institute. So nutritional biochemist from Italy, but long since lived in the United States. And one of the things that he’s noted, to your point is, you know, we may have a certain protocol when we're looking at longevity, and how food talks to your genes. But he said within the context of what I'm saying you also need to eat to the genes of your inheritance. Amanda: Meaning that if, in fact, you lived in Japan and your first generation to Australia, New Zealand, or the United States, your genes will still kind of, if you will, react and respond to the foods that are native to where you came from. So he's talking a little bit more to macronutrient levels. So if you're from a certain part of Italy, they don't eat tons of pasta all over Italy. So if you come to United States and start eating pasta, guess what? Amanda: Your genes are pleiotropic, but they will respond better to sort of that native environment which of course will change over the generations. But I think it was a profound statement from him and one that I feel very, very strongly about. And that's certainly an area that I'm looking much more deeply into. So it all goes back to you saying there is no one perfect diet, but there is, I believe, a perfect connection between what we know about bioactives, and how they work with your genes. Amanda: And how, if you come from Japan, you may not find the same foods in say the United States, or Australia as you did in Japan. But you can still take advantage of what we know about specific bioactives that you can find in foods that will be native to Australia that you won't find in Japan, but they'll still have the same food-gene message, if you will. Mark: There is a difference between living and dead foods. I mean, we've been quite okay about putting things in packages on supermarket shelves and leaving them there for weeks. Freezing our fruits and you know, putting them in freezers for years sometimes before they're actually eaten. And a whole generation of mine and the subsequent generation grew up without actually remembering what real food tasted like. I noticed on you The Genomic Kitchen, there was a beautiful picture there of the different tomatoes and the variety of foods that were actually food. And I go back again to Michael Pollan, you know, eat food, it sounds simple, but food is defined as what your great, great grandparents could have eaten, and the variety that they could have found at that time. Whereas an industry has turned food into a smallish group of species, of dead food that provides adequate nutrition but does not provide love, joy, the experience of beautifully prepared food. 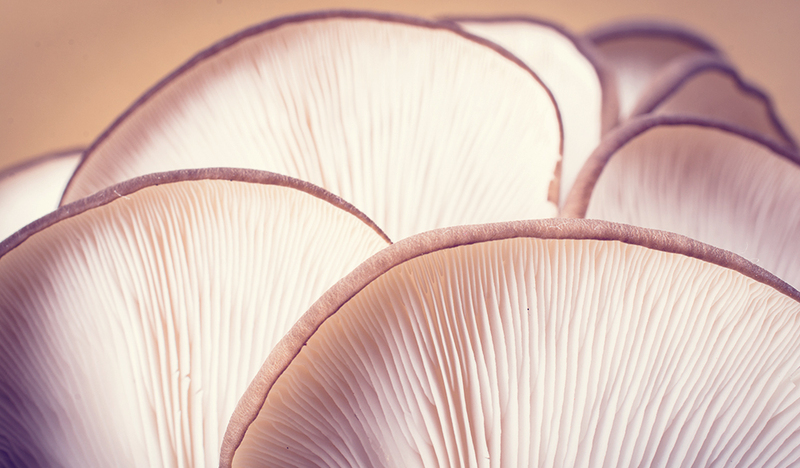 Going back to living foods has been transformative for me and for many of my patients. Getting them back on the foods that you grow in a little garden. There's meaning to food that doesn't happen if you kill it. Amanda: That's absolutely true and you remind me of a gal... a gal? She was just a visionary really. Her name is Annemarie Colbin, she's a Ph.D. I want to say in quantum physics, of all things. You can tell, if somebody has a Ph.D. in quautum physics then, like, you better listen carefully. But anyway, she combined that with a master's degree in nutrition, and she started the Natural Gourmet Culinary School in New York. And I heard her speak quite a few years ago, she's since passed away. Amanda: It's the energy. And she said, "You want to see live food or dead food put it in the microwave, it's dead." You know? I just thought it was it was brilliant. That's dead food. Living food doesn't jump off your plate. But there's dead and there's living food. I thought that was brilliant, I mean, you know, it was her physics mind speaking. But we all totally understood like the vibrational energy to food. Amanda: But she pointed out living and dead food. Again what I look at is what are the food to the native communities around the world, and what do we know about their bioactives? And so I'm always looking at this because my work is to translate bioactives and nutrients into food-gene crosstalk. Amanda: You know, how does food and its constituents activate genes and what's the impact of those? Or deactivate them, or, you know...dim them or enhance their volume. That's my work in culinary genomics. So I've looked a lot at research that's been done in Europe that looked at native plants in different areas of Europe, and what the local people use them for, what they call them, and if they're still using them. Mark: The folklore kept them alive over those thousands of years. So it's very real evidence-based eating. Amanda: It did. And when we look at it through the lens of nutrigenomics, it's like, aha, well, that makes sense. So a perfect example of… one of the Blue Zones which are these geographical clusters of centenarians is Ikaria. Which is in the Eastern Agean Sea, east in the Agean Ocean, which is part of the Mediterranean. So it's very close to Turkey. And when you look at the traditional plate of the Ikarian people, particularly the older people, it's replete with wild greens, which grow natively on the island. But the key is that people still know how to pick them and what they are. So if you look at their sort of daily plate or a regular plate, it will be replete with this pile like a huge pile of greens. And I have fantastic memories of being in the Peloponnese in Greece a couple years ago and walking into a taverna and the chef and his wife were both over the age of 90. He fought in World War Two and so, you know, he had damage to his skull which you could still see like an indent. But this man was sitting in his kitchen with the most enormous plate of horta, or wild greens. So essential to those wild greens are native plants, and they'll include things like Queen Anne's lace, wild thyme, wild fennel, wild arugula. Because my mind's like oh, I know exactly what the bioactives are. So this appears on their plate all the time. So the University of Athens in about 2000 actually said, "Let's take a look at what the bioactive components are of these greens that our people are eating across the islands, around the Mediterranean, the Greek Mediterranean if you will." And it was brilliant research, and what they were able to show is the sheer concentration of bioactives in these greens, that not are only native to these islands, but that folks are eating they would be considered poor people's food or folklore food. But when you then looked at the bioactives...now I, of course cross-mapped them to nutrigenomics and said "Well, no wonder they're living to be 100 because these bioactives have the uncanny ability to upregulate NRF2,” which is sort of our master antioxidant inducing gene. Amanda: But at the same time some of them contained bioactives that can down-regulate NF-κB and TNFα, so those pro-inflammatory genes. So, I said, they've got the perfect scenario, upregulating inflammation management, down-regulating pro-inflammatory cascades, no wonder. Amanda: So to me, when I started looking at that I said, ah, not only can we now have a much better explanation of “The Mediterranean Diet," but we can take that knowledge and say okay we may not be eating wild fennel in the United States or Australia, it'd be great if we could identify it. But we can still use fennel. You know, we can use arugula. We can use like-ingredients that contain the same bioactives, but use the stories of the long-lived people to explain the why. Mark: It's the story science, isn't it? That we catch up a generation or two later that we think we know about nutrition. We've analysed everything about nutrients, we produce the, kind of, food pyramids, and then discover that plain, ordinary people, in their own worlds, by definition, have to have made good choices and those good choices play out. Mark: That's something that we failed to observe. Amanda: In Alzheimer's. So what do we see across the Mediterranean? It's the BACE1. I think that's it? But I will check. But what do we see in Mediterranean? Oh, lower levels of Alzheimer's disease. Well, you can pick citrus just by leaning out of the car window or walking along, you know, the shoulder of any road. And so these people unknowingly are eating food that you know, talks to their head or prevents the formation of something that is, you know, killing people in droves, because essentially not eating these native simple foods in simple ways. Mark: Yes. The separation of people from their environment the idea that humans are special, and that we can exist outside the microbes, the food, that we can kind of, by analysis and brute force, turn the world into a world of iPhones and fast foods. I noticed that the geeks in Silicon Valley, a very big product at the moment is a liquid that is being delivered to them, so they never have to leave their desks. And they can get "full nutrition" every day from sucking on this liquid a little bit like "2001: A Space Odyssey"
And I think, boy, are we in for a tough time for the people that believe that it's only the nutrient content, and who never have a meal, who don't get up to prepare their food. It seems a long, long journey from there back to a reasonable quality of life and the food being our medicine. Can I go back a little bit? Because you got here somehow. And my understanding is you were an analyst in a kind of, past life. And you brought that work together with nutrition. Can you explain to me how that could have happened? Amanda: So I actually was in nutrition before I was an analyst. Amanda: So I then went on to do a nutrition degree here in the United States. And as you know, kind of going on a few years in nutrition, the Mintel Group was looking for someone who had the ability to assess the food industry, etc., etc., And had the mindset to be able to produce the type of reports they produce. So I was still a nutritionist, if you will, at the same time as I was an analyst. My skill set was being used differently. But then I stepped away from that to go back into nutrition because I just had a bigger vision. But the world of being an analyst which, in that kind of environment, required me to distill a huge amount of data, complex data, into... or to synthesise it into a report. So that way of thinking allowed me to apply that to science and say, how do you take very, very complex science, such as nutrigenomics or genomics and distill it into ways that are accessible not only to clinicians but also to the public? So that's kind of the intersection between sort of, two paths that are informed by way of thinking. Pathways or algorithmic thinking. Mark: How did you actually make that move, though? You moved from the world of business to a different world of business. The movement from the analysis to the construction of diet, health, bringing all that together is still a big step. How did that step happen? Mark: In clinical nutrition? You were still a clinical nutritionist through that time, were you? Amanda: No, I was not working in Clinical Nutrition at that time. So it's a great point. I'd stepped away from that. So when I was working in Europe, so I was trained in America went back to Europe. I was working actually more for the US Army, believe it or not, in Germany, but helping them set up a preventive medicine programs. So that kind of got me kind of clicked into... look there's a different way of thinking about nutrition than the way the army's thinking about it, or even my conventionally thinking clinical friends. And so that's when I started to step into sort of a more holistic approach, if you will, holistic health. From that, I then step into functional nutrition and was trained in functional nutrition. And then a natural progression from that was nutrigenomics. And that transition to nutrigenomics actually happened a few years ago, I was teaching in South Africa, you know, a food-based way of thinking for clinicians. You know, how do you translate functional nutrition or functional medicine in a format that the public would understand? And I met a couple of researchers there who were quite prolifically working in nutrigenomics and they said "Amanda, your way of thinking and some of these food maps" that I created they said, "That is absolutely the way that we're going to explain nutrigenomics." So that's got me saying, okay, what's nutrigenomics? And as soon as I started to understand nutrigenomics I said, that's for me, because as an analyst, as someone who loves biochemistry, I want in. Amanda: And so I realised, great, you know, jump into nutrigenomics. But I said, just as in nutrition science or medicine, unless you can translate it to the plate, it just is great advice and another borer for the public. So I said, I'm going to put a stake in the ground and figure out a way that we can translate nutrigenomics in a way that, again, is accessible to the public, with or without genomic testing. And I think that's what's important. Mark: Right. Do you see the way forward as moving progressive… So the genomics... I mean, I attended something just a few weeks ago here in Sydney. We have genome one which is The Garvin Institute, a very...they're moving genomics forward very quickly. Their take on it is that within two years the whole of genome will be effectively around about a $200 or so, you know, a $150 Australian cost. That there will come a point in the very near future where the whole of genome assessment... once the insurers get out of the way, the whole genome assessment is going to be what you can carry on a USB stick and any doctor with the right kind of software, the right ability to understand nutrition, can make specific recommendations based on that. Now it's not with us yet, you know, it still costs thousands of dollars to get this done. But do you see a future where people understand their own. So now that we've spread across the world, well, you know, I'm part Irish, I'm part New Zealander… That we get a chance to take a snapshot of our own particular individual genome and eat towards that end, to understand ourselves well enough to know our food or is that a pipe dream? Amanda: Obviously there's specific skills like surgery and infectious disease, etc, etc. You know, how we put the body back together, we require conventional wisdom and that's certainly not my area to judge or expertise. But we are spending in the United States alone, in fact, trillions on healthcare. Preventable diseases. And I think it would make a heck of a lot more sense with or without insurance for every person to have their genome mapped, you know, maybe seven years after their birth. Because from that with the right clinical training, we can empower people to take responsibility for their health. Because your genes don't lie. You know, they have, you know, errors and SNPs. But we know enough now to be able to help people put in place a course of action that can deeply impact their health and their longevity. I think the rate limiting step that I'm seeing in genomic research is we only know so much right now, and we don't know enough. Amanda: And I think the companies I'm seeing particularly Australian ones that I've seen are very, very conscientious about only producing test panels based on genes where we know we have the biomarkers. Amanda: Ones we know enough about the gene and its impact, but more importantly, we have the biomarkers to measure the impact effectiveness of that gene and/or the intervention. So that's really important. Mark: But I think what I've seen working with a company here in the United States is that, it's not the knowledge of the testing companies. It's, we have to train clinicians. Amanda: And that's a huge gap. I mean, it's a huge difference in thinking. You have to think in 3D as a clinician, or I would hope you would. You need to understand, go back and understand biochemistry, and I think many of these companies are doing a great job in their training programs, but it's still a huge leap for clinicians. Amanda: So I think the rate limiting step is going to be the training of clinicians and for them to have the confidence to say, I now know how to intervene with you and work with you to optimise the genes you have, based on what we know. Mark: The strange thing is, of course, as clinicians, we always took medical histories and it was the surrogate for the genetics of the person. So what your parents died of, suffered, what your grandparents had, that kind of history..
Mark: Was our loose attempt to say, here's the genomics of you as a guess. Mark: Quicker than we think. Amanda: And it's so, I think, it's very empowering for the patient or the individual. But as a clinician, I think that these are our times. You know, there's never been a better time whether you're practicing nutrition or medicine. I mean it is, I think genomic information is the most powerful information we can have, as I've being reminded by my mentors in genomic medicine. But it is only one tool in our toolbox. Amanda: It's extremely powerful but it gives us this scaffolding, again so we can, upon which we can build recommendations. So, you know, and those recommendations will be based on that intake of course which includes, you know, obviously the medical, what you eat, spirituality, your relationships, right, with the world. So that sort of naturopathic functional medicine model. Exercise, so it's not just food that... you're absolutely right for me it's the biggest aha and I cannot even imagine that moving far without genomic information. Mark: I still have a feeling that we run a risk, there's a short-term risk that we think of genomics as the new medicine and reduce everything to the gene. And that absolutely is not true. The person in their world with the people who they love, and the food that they love to eat and prepare is still a separate issue. Mark: What our... I loved it, initially, the genome was the blueprint of life, it's actually more the menu, you select from it. And with your food, you can modify that genome and the way it expresses itself. Mark: So the learning of the new nutrition is much more powerful than just what's your gene, here's your food. It's how do you move towards a healthier life by understanding it. Amanda: Can you do that? Mark: Does The Genomic Kitchen... is that the kind of, a future where it can be brought even to the personal level of the home, expand into the areas of say institutions, hospitals? Can it become a background which transforms health? Amanda: That's my goal. You know, of course, I'm working with many people. But you know, the goal of The Genomic Kitchen is we're at a public health level, as I said. So my goal is to bring this new information to the public so they can integrate it into their home space with or without, genomic testing. But at the same time, it has three pillars. The first is working with clinicians explaining, giving them a sort of step into nutrigenomics without them having to, you know, go into a certification course. That’s their next step, I'm just opening the door for them to say there's a different conversation. At the same time we're talking with chefs who are working in institutions so that they have the tools. But the third arm is consulting which is working with foodservice operators. And even food producers to help them understand there's a different way they need to think about food production, how they're menuing it, and how they're marketing it. Because if they don't the public's going to leave them behind essentially because genomics is empowering. So, I do, for me I see this as absolutely the biggest health shift in decades, it is, there's no doubt in my mind. Mark: And an informed public, the beauty of the internet… Doctors hate it sometimes because we see people coming in with Google searches on everything that the person has. And we raise our eyes and think, oh, rubbish. Mark: But what is happening is that people are rediscovering the power of what they can do outside medicine. So medicine is so technical, so costly, so unbelievably ineffective at stopping tsunamis like type 2 diabetes, that we've played on the edges of only those people who can afford medicine. Whereas what's happening is it's transforming in the families, my wife, my daughter, families are understanding something better than their doctors. 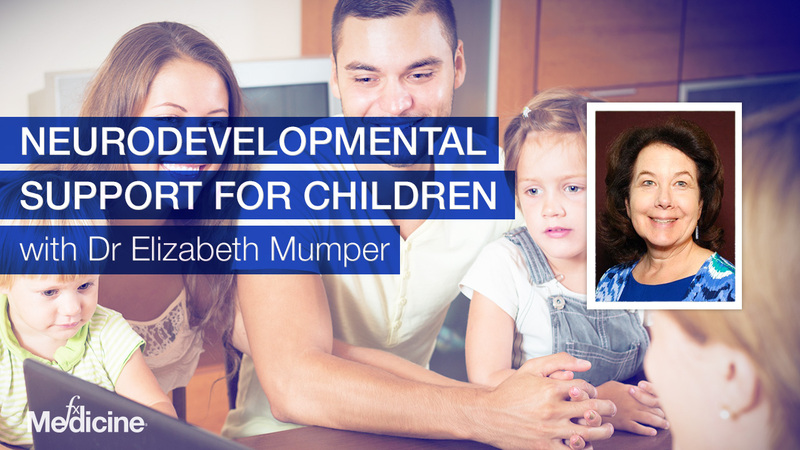 And in Australia, at least, the GPs are catching up because at the general practitioner level, the conversation's happening with mothers and children. And they're changing the trajectory of lives not through drugs, but through nutrition. And that's an eye-opener. That is a transformative experience in medicine that you can do lifestyle, exercise, diet and have a bigger impact than any drug that you will ever prescribe. Amanda: Right. It's true. And you know, I always say that our body has innate intelligence. Amanda: And when it's out of balance, as we know, in medicine, the question we should be asking is, why is the body trying to do what it's doing? What biochemically is out of balance that we can correct? And the correction mode is through food and through love, of course, because we mirror our environment. Mark: It starts at birth and you know, birthing well, feeding, breastfeeding, there's a whole trajectory. And I see it in my practice every week of my life. That you...when you head off on the wrong direction early, when you medicalise life early instead of providing the birth and the nutrients and the microbes. When you do that, the risk is you become a medical consumer for the rest of your life. That trajectory changes profoundly early, and sometimes is unretrievable, almost. Amanda: Yes. That's true. And your genes will tell you that too. Mark: Yeah. The instinct of a mother is an incredibly powerful thing that's got us to this point in evolution. So, evidence base is that mothers have done particularly well over time in bringing babies into the world and those babies surviving. And we treat it as though birth is a technical issue that we have to get a mother through. And then food is a technical issue that we have to kind of give enough nutrients, and the ability to let life sing, and dance, and play has been lost. That's not a part of a concept of healthcare. Mark: If you had one wish for the future... I can see the trajectory that you're heading. And I can see technology meeting some of those needs. Where you will understand, you know, through The Genomic Kitchen, the genomic part of it is coming more and more into the playing field. But the food part is the most important thing. I would regard it as by far the most important thing that we have yet to discover. What foods match people, what is their kind of tradition, their inheritance, their heritage. If you see five years in the future, can you see a time where this has a profound impact on the development of illness and disease, or are we further away than that? Amanda: I actually think it's already here. And I think it depends on the country as to the extent of the groundswell. But I believe that time is already here, as you’ve mentioned. The consumer individual is already walking in and bugging the doctor saying okay, I got this SNP, which is like the worst thing.. The doctor they don't understand what to do with MTHFR. Amanda: And it drives me nuts, because it's one gene, and it doesn't work in isolation. But I think it's already here. And curiously, it's driven by the consumer asking questions of the medical profession, and the clinical profession. And then turn around say, well, right now they're in denial. I would say what I see most is push-back because when you don't know something it's easy to say, it doesn't work than to say it does. So we've got a lot of catch up to do on the clinical side. But I believe that time is already here. And that within five years, we're going to see a completely different play around the food conversation. But it's like the organic movement, it's going to take time and it may come from the top down first, I sense that. Top meaning it may be pushed by the curious consumer, the consumer that will pay for individualised genomic testing. Amanda: But my work is to push it from the ground up saying look that is, right now, for the people who want it, can afford it, or whatever. But we can still push the principles as nutrigenomics and it doesn't involve the pyramid and it applies to everyone. You know, we all have about the same genes, right, it's the SNPs that make us different. But the principles of how we up-regulate genes that are common to every single individual are the same, right? But you know, we know exactly which bioactive activates NRS2. We'll probably discover a few more. We all have the NRS2-L2 gene. So the principles of choosing food based on what it does in the body won't change, you know? And they apply to everybody. And it's which food, how we prepare it, and in which ways is what's important in genomics. So yeah, there's some new rules and that's what we're teaching at The Genomic Kitchen, but it's open for everyone. Amanda: You know, there's no exclusivity with food. Mark: Amanda, it has been marvelous to talk with you. Thank you very much for leading us through that, I am so on board with this. It took me many years as a doctor, I learned the components of food, and I thought that was all that was necessary. I thought organics couldn't be true. And my patients have taught me a lot of different lessons over this last 35 years. And now I have to step back and say, you know what, they were right all along. If you can get your life, and you understand your heritage, and get your food, right, you keep out of doctors surgeries, and that's why doctors don't see those people. They don't hear the good stories. We hear the bad stories of the ones that didn't make it across the line. Mark: And now the good stories we can aid people in doing that. And I honour you for, you know, The Genomic Kitchen is one effort. But moving this idea of appropriate food for the person, for their culture, into the mainstream, I think it is literally the future of medicine. Amanda: It is. And it's exciting. It's very exciting. Mark: It is, and I wish you the very best with that. Mark: I hope to talk with you again, another five years time, you'll have penetrated the areas that are as yet still holding out. And we should talk again and find out how The Genomic Kitchen has transformed things. So congratulations. Lovely to talk with you. And I hope to speak to you again soon. Mark: I'm Dr Mark Donohoe, and thanks for joining us today on FX Omics.